Tall buildings do require periodic external and internal maintenance and ropes are generally used externally to scale the height to perform the requisite work. Rope access, as it is generally known, is a set of techniques where ropes associated with specialized hardware is used to provide primary access and support to construction or cleaning works. Generally, two-way rope system is used. While a working rope gives support to workers, the safety rope protects them from accidental fall. Technology has revolutionized the rope access system. Thanks to the combined use of modern equipment, training and techniques, today the vertical access has become highly safe, cost-effective, efficient and versatile. 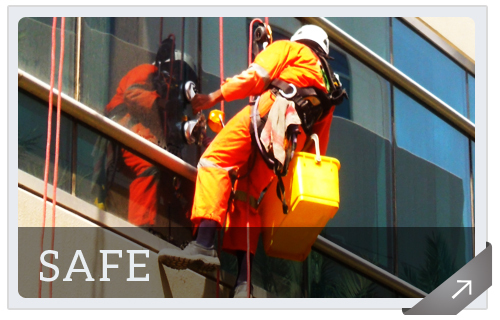 Safe to scale high – Trained and certified rope-access staff maintain an impeccable safety record with nil fatal incidents and low work time loss while operating rope. Rope access goes versatile — Technicians can use the advanced techniques of rope access in different environments, from complicate steel installations, confined-space penstocks to huge concrete structures. Custom rope-access techniques, unlike traditional access ways, can be made to fit various applications inexpensively and quickly. Rope access becomes efficient – The big advantage is that modern rope access systems can be quickly installed or dismantled and hence require fewer workers than the traditional methods. Rapid readying limits disruption to facilitate operations by minimizing time period. Rope access is cost effective – Limited workforce, less equipment need, faster completion of work and less time means lower overhead cost. What are the common rope access applications? Rope access techniques are used in various industrial setups. It is largely used for structural inspections and non-destructive examination (NDE), surveying, construction of bridges and dams, maintenance of high-rises, painting, installation of wind turbines, sand blasting and pressure washing, construction of residential and commercial towers, geological surveys and industrial plants. While inspection is the most common usage, rock scaling and anchoring, welding, cutting, handling heavy material and photography and cinematography are also possible using rope access with specialized procedures. Modern technology has made rope access system a safe bet for workers assigned to perform at elevated places where special ropes and allied equipment are used to scale high and descent safely after completing the work. Special arrangements are made to deal with emergency situation like snapping of rope, etc. Apart from being safe, rope access also helps the workers to reach the elevated place faster to accomplish their work with minimal or nil impact on the regular operations of the affected area and also the surrounding areas. Compared to other modes of access and their associated risks and costs involved, rope access technique reduces total man-hours and also the level of risk involved in a particular task, also known as man-at-risk hours. 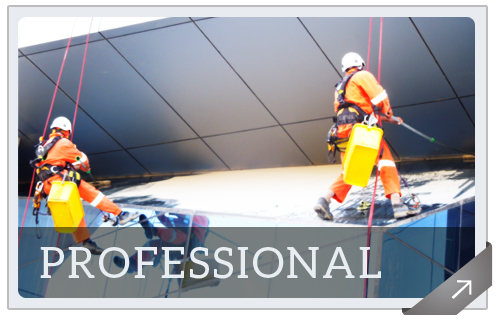 As safety procedures are followed at all times while planning, managing and carrying out the tasks, rope access methods are helpful to reduce accidents (loss of lives and injuries) and dangerous occurrences with no damage to assets and immediate environment, saving of insurance claims and less loss of working hours. Flexible reach to any location where other equipment cannot reach. 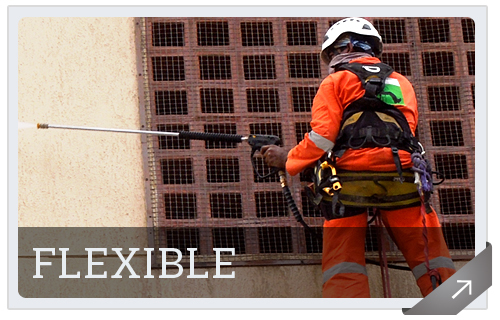 Rope access is risk-free and safe for any industrial environment. 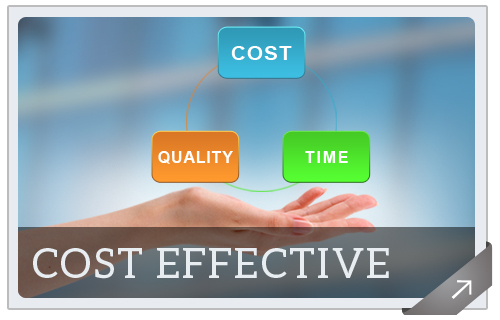 Highly skilled and professional approach in all our works.